Rangers captain Okey Odita has expressed confidence in his side’s ability to secure a ‘good result’ when they file out against hosts and former champions, CS Sfaxien of Tunisia in continuation of the 2018/2019 CAF Confederation Cup on Wednesday. The Flying Antelopes, who lead Group B of the competition following a 2-0 win against Salitas of Burkina Faso, are guests of second-placed Sfaxien in a potentially exciting Match Day 2 clash at the 18,000-capacity Stade Taieb Mhiri in Sfax. “We are confident going into this match against Sfaxien in Tunisia and we believe that we shall come back with a good result,” the former veteran defender said. In the same vein, midfielder Ibrahim Ajani admits that Rangers are underdogs but remains confident the Gbenga Ogunbote-tutored side can cause an upset in Tunisia. 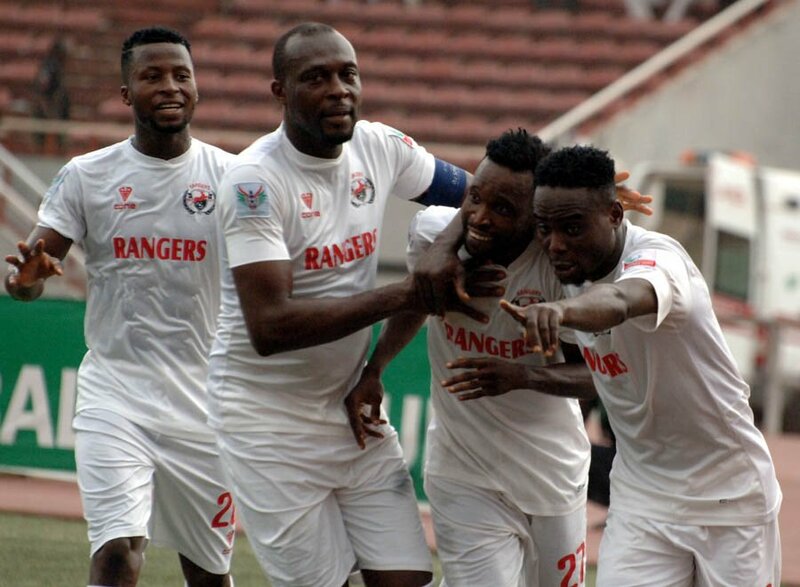 Coincidentally, Rangers defeated CS Sfaxien 1-0 on aggregate in the 2013 edition of the CAF Confederation Cup but the Enugu side were eliminated for fielding an ineligible player (goalkeeper Emmanuel Daniel), and the Tunisians eventually won the competition that year. Kickoff for the Sfaxien-Rangers tie is slated for 8 pm local time (which is also 8 pm in Nigeria) on Wednesday, 13 February.